The traditional Hot Brown originated in Louisville, KY and consists of a piece of Texas toast layered with turkey, tomato and topped with gravy and cheese. 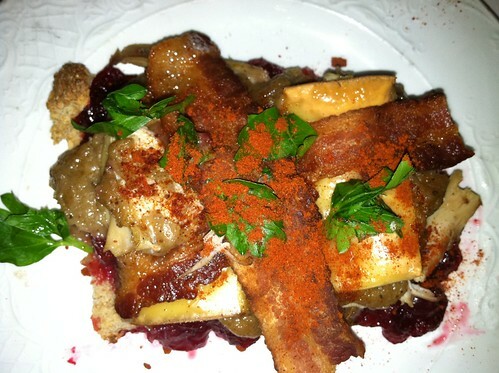 The piece de resistance is two slices of bacon criss-crossed on top. My Thanksgiving version includes a slice of wheat toast, crusts removed, smothered with cranberry-orange relish and topped with turkey. Drizzle with gravy, add a few slices of smoked gouda (leftover from my cheese plate) and pop in the toaster oven on broil for a few minutes until the cheese gets nice and bubbly. Top with a couple slices of bacon, a sprinkle of paprika and Italian parsley and enjoy those sweet and savory leftovers! I made this delicious fritatta at the lake on Mother’s Day — for my mother and grandmother. (Daddy, too) I think roasting the broccoli before throwing all the ingredients together really brought out the flavor. Throw in Patak beef bacon and you’re sure to have a crowd pleaser. Heat the olive oil in an 8-inch nonstick skillet over medium heat. 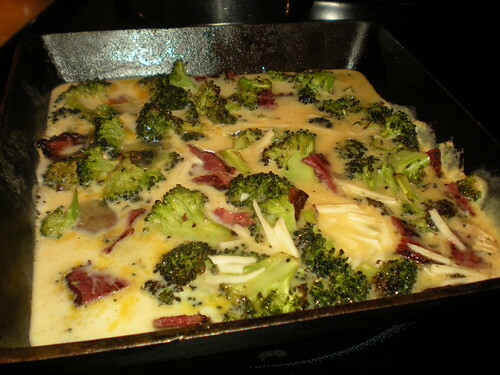 Add the broccoli and bacon, and heat through, about 2 minutes. 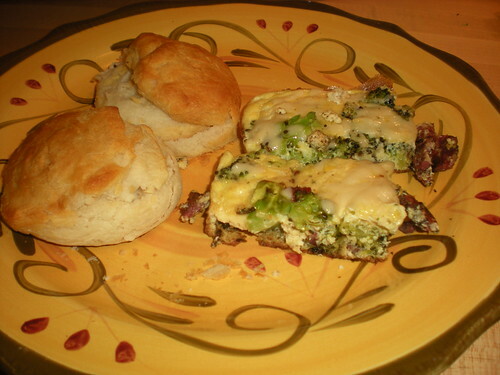 Reduce heat to low, pour the egg mixture into the skillet, stirring gently to distribute the fillings evenly. 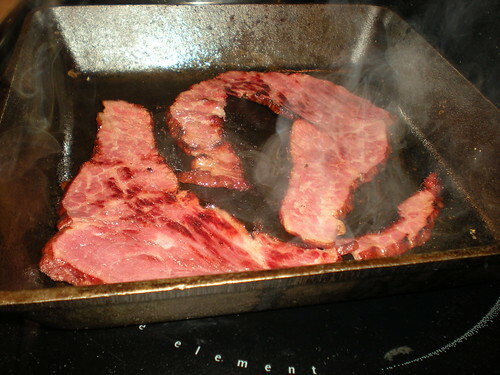 Cover, and cook until the bottom sets, but does not get too brown, about 9 minutes. Remove the cover, scatter the remaining 1 tablespoon of cheese over the surface. 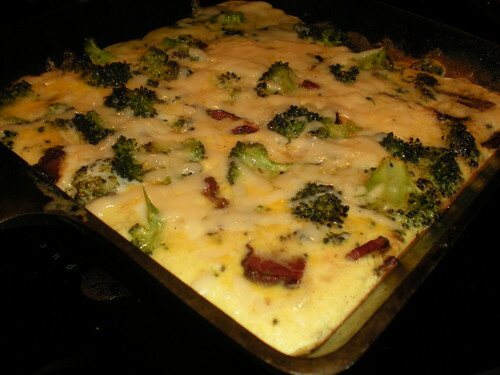 Run the frittata under the broiler until the top sets and browns slightly, about 1 minute. 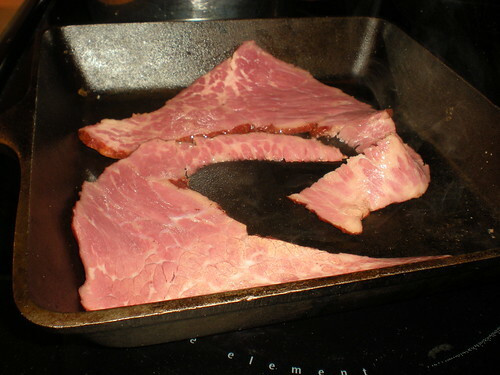 Let sit for about 5 minutes, then cut into squares. Serve warm or room temperature. Breakfast is served - Happy Mother's Day!